Making a garden beautiful is not always about the aesthetic tasks. Some behind the scenes work is required to form a good foundation. 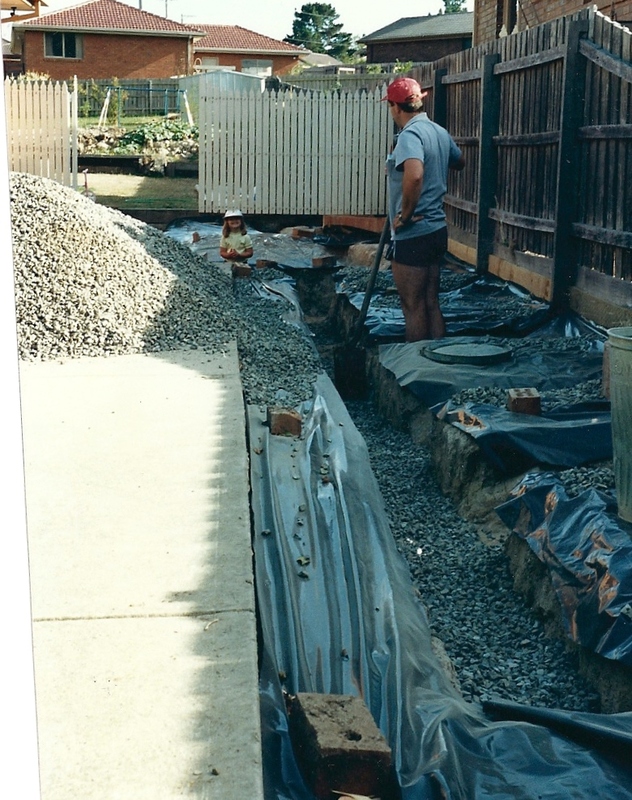 The concrete driveway and path that were provided with the house were very simple and basic, and we needed space next to the house for our two cars. 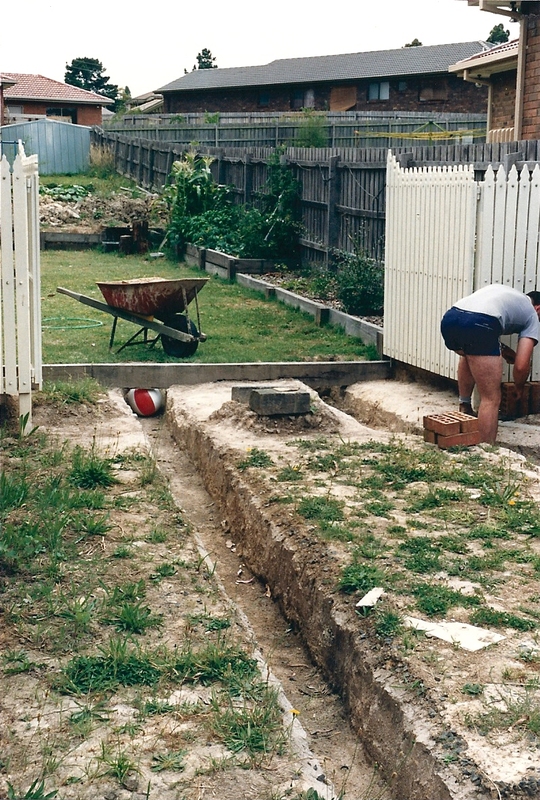 Having done a great job with the picket fence and gates with a friend’s help, my husband set about digging channels for good drainage. It has been very useful being married to a tradesman for projects of this nature. We had previously grassed the area so that it could be easily mowed while we were busy setting up the inside of the house. 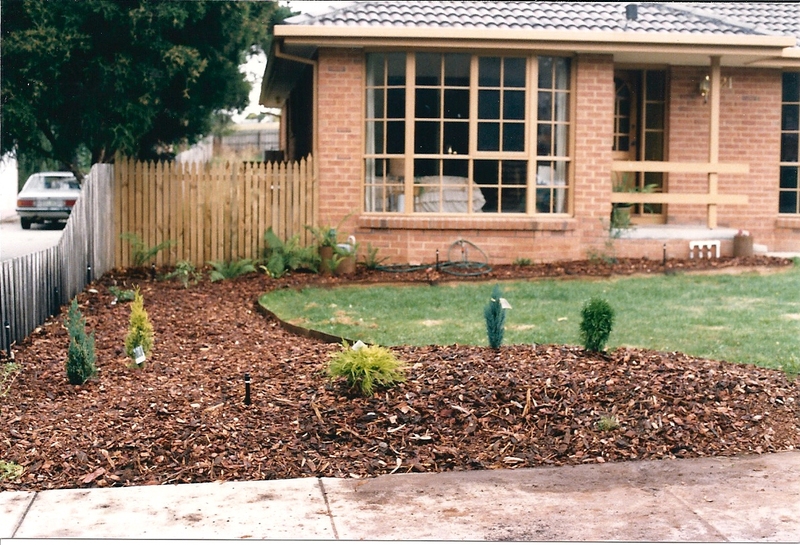 Then, finally, early in 1987, it was time to create our front garden. To build up some garden beds, we brought in many metres of topsoil. 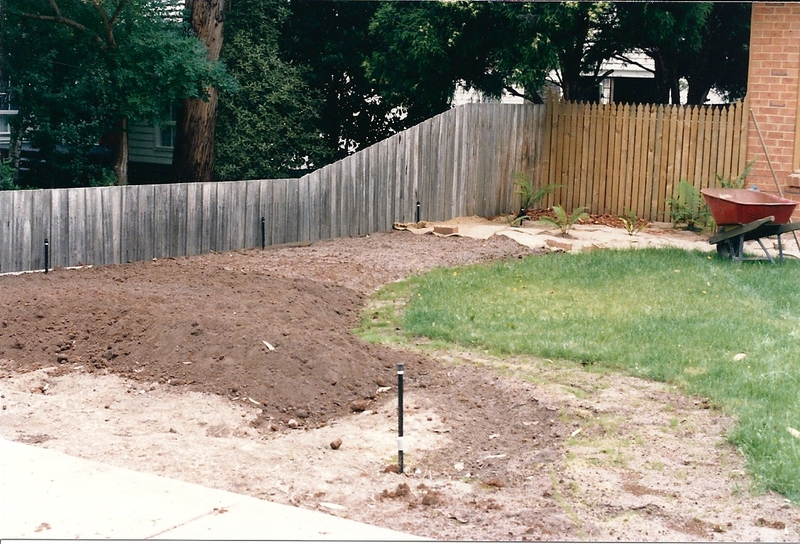 The clay, or intermediate soil, of this area was not particularly conducive to planting a garden. 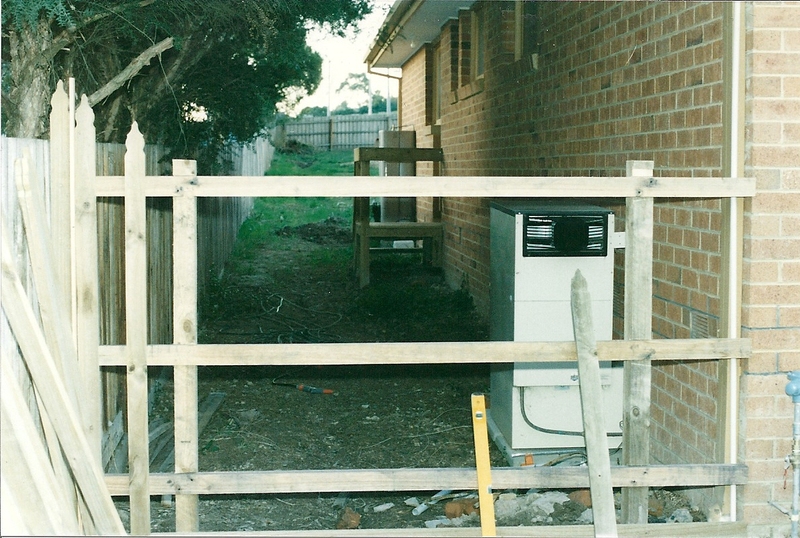 With a little fernery in front of the side picket fence, we moved to the area next to the footpath. I loved, and still love, the look of conifers and different shades of green, so with this vision in mind we set about forming a welcoming display. People walking by would see this, and we would also get a nice view from our bedroom bay window; a double achievement! After the major works of replacing the barrel drains down the west easement, it was time to section off the front from the back. 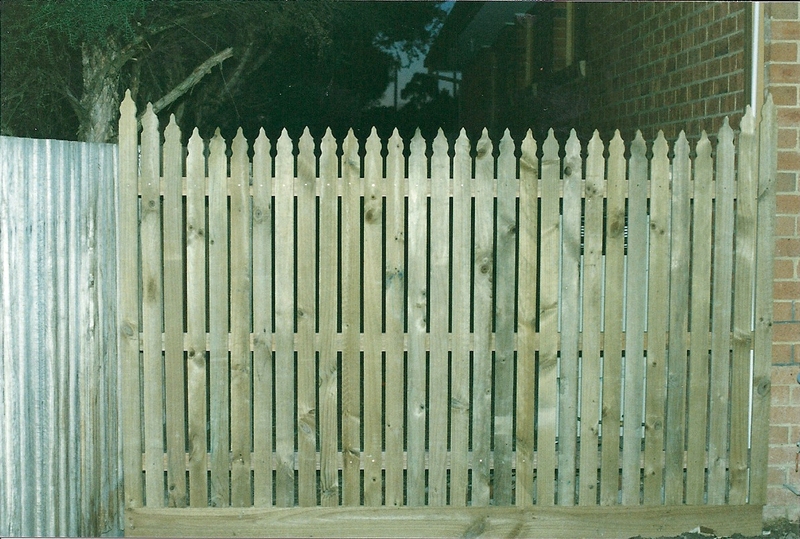 I loved picket fences, and found the nicest design was the one with the little point at the top. 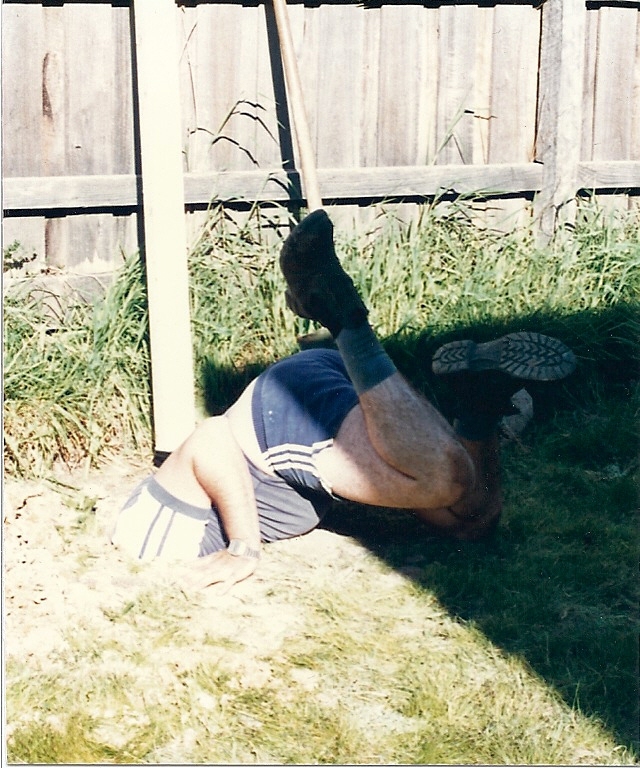 Since my husband was a plumber, he could turn his hand to all sorts of projects around the house and garden, and at that stage he was extremely enthusiastic, so the task was achieved with a minimum of fuss.